Actor Madhuri Dixit recently attended the star-studded night at the Zee Cine Awards on March 19. 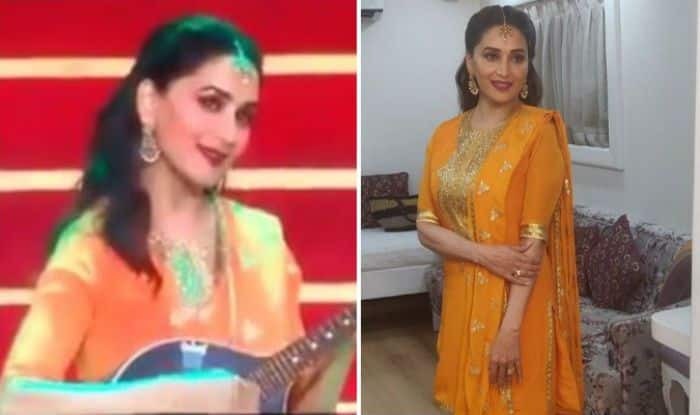 The Kalank actress also performed on 90’s popular song ‘Maye Ne Maye’ from her one of the biggest blockbusters, Hum Aapke Hai Koun..!Now, the video from her performance has made its way to social media and has gone viral. 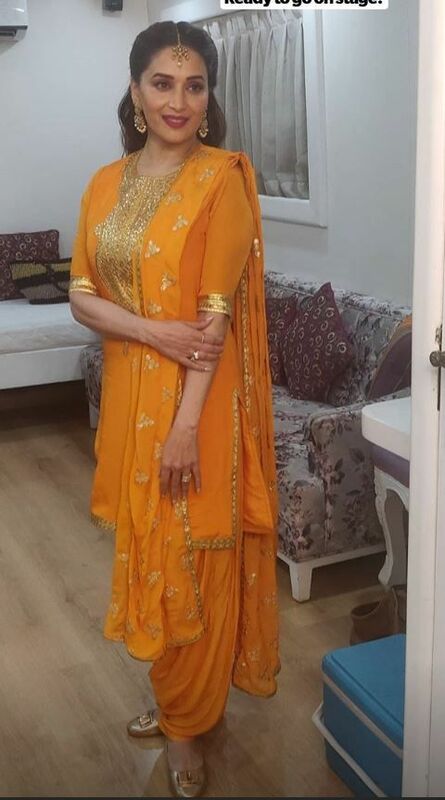 In the video, Madhuri is seen dressed in a similar kind of salwar-suit and have completed her look with Maangtika and left her hair open. During her stage performance, Madhuri dropped a major dose of nostalgia as she performed on the song after 25 years. The performance began by her playing the guitar and then performed on her hook steps from the song. The song was crooned by Lata Mangeshkar and the music was composed by Raam Laxman. In the film, she has played the role of Nisha, Salman Khan’s love interest. Madhuri also walked the red carpet at the Zee Cine Awards in a silk black gown. Needless to say, she looked graceful and gorgeous, as always. On the professional front, Madhuri will be next seen in Karan Johar’s Kalank. In the film, she is playing the role of Bahaar Begum. The trailer of the film has received positive responses from the audience and the audience has called it a ‘blockbuster hit’ film. The film also features Alia Bhatt, Varun Dhawan, Sonakshi Sinha, Aditya Roy Kapur and Sanjay Dutt. She was last seen in multi-starrer comedy film Total Dhamaal. The film is already a hit and has clocked over 150 crores at the box office.